With 10 years experience as a certified energy healer, intuitive reader and psychic medium, I can help you heal and thrive in all areas of your life. Medical Intuitive using gifts and talents I can help identify factors contributing to lack of wellness, relapses, or imbalances in health and wellness of the physical body, mind and spirit. Intuitive Tarot Readings to identify your situation, factors supporting you, insights into greater understanding of situations, suggestions for solutions, changes needed, always provided as guided for your highest and best potential in life. 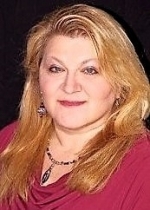 Psychic Medium offering individual and group readings connecting you with your loved ones in Spirit. Providing identification and messages from beyond. Connect with the guidance of your loved ones.